Scientists have created the world’s first test-tube organs in a breakthrough that could revolutionise transplant medicine.The American experts are claiming to have used cloning technology to transform cells taken from a cow’s ear into functioning kidneys. The ‘spare-part’ kidneys were genetically identical to the cell donor and so were not rejected when they were transplanted into the animal. The scientists are confident that the same technique will work in humans within the next few years. Using just a few skin cells, doctors would be able to grow perfectly matched organs with none of the problems of rejection associated with donor tissue. They have already started trying to produce other tissues, including heart cells. The team of scientists at Advanced Cell Technologies in Massachusetts, a private firm, attracted international controversy when they announced the creation of the world’s first human embryo clones late last year. Dr Robert Lanza, who led the team, said last night that the latest experiments proved that cloning techniques could offer a viable source of transplant tissue for humans. 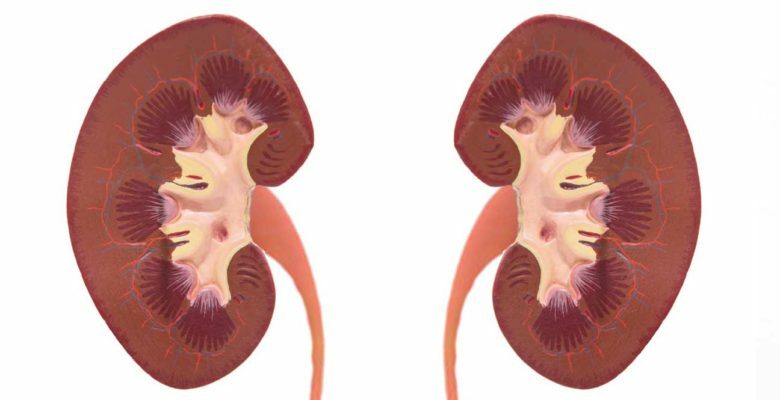 In the UK, an estimated 100,000 people suffer from some form of severe kidney disease. The NHS carries out approximately 1,200 kidney transplants a year, but almost 6,000 patients are waiting for a new organ at any one time. Hundreds die before organs become available and at least 32,000 require treatment such as dialysis. Dr Lanza, ACT’s vice-president of medical and scientific development, said cloned human embryos could be harvested for replacement tissues to treat everything from Parkinson’s disease to heart failure within the next few years. The researchers, who will publish details of their work in a scientific journal shortly, started by removing a single skin cell from the ear of an adult cow. This was then fused with a donated cow egg which had been hollowed out so that its DNA – the blueprint for life – was removed. When this was jolted with electricity, it became an embryo rich in so- called stem cells – the body’s ‘mother’ cells which have the potential to develop into any of the body tissues. Because they come from a cloned embryo, the cells were genetically identical to the donor animal, ensuring that any tissue produced from them would not be rejected. The scientists cultured the stem cells so that they became kidney cells, using chemical treatments that the company is currently keeping secret. The cells were grown on a biodegradable kidney-shaped scaffold designed by experts at Harvard Medical School. The scientists produced several miniature kidneys each a couple of inches long. These were transplanted back into the adult animal, alongside its existing organs, where they started to produce urine. ‘When we took the organs out a few months later, they were working just as we had hoped,’ Dr Lanza said. ‘We can create a functioning organ by growing on scaffolds. There were absolutely no problems with rejection. ‘This is one of a series of experiments we have done which demonstrate the potential of therapeutic cloning. ‘In adult cows, we are creating new heart tissue using the same techniques. Many scientists and doctors believe creating cloned human embryos to be mined for ‘spare part’ body tissues will offer exciting and unprecedented medical opportunities. But the Roman Catholic Church and pro-life campaigners, who regard early-stage embryos as forms of human life, are against such research. Scientists will be able to create and then destroy life in the laboratory on an unprecedented scale, they argue. They are also concerned about the ethics of allowing human creation without conception for the first time. There are also fears that by publishing details of their techniques, scientists will give other rogue experts the chance to produce a cloned human baby. Several teams have said they have already started work on such projects, though until today many scientists doubted they had the know-how. In the UK, the creation of cloned embryos to produce cells for medical treatments has been given the green light. Full reproductive cloning, which would lead to the birth of a cloned human baby, remains illegal.